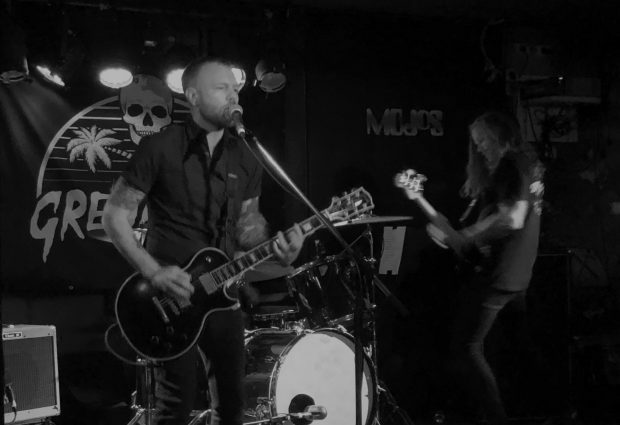 Nearing the end of their national Find Something You Love and Let It Kill You tour, Radelaide rockers Grenadiers kicked off the WA leg at the iconic Mojos Bar on Friday night. 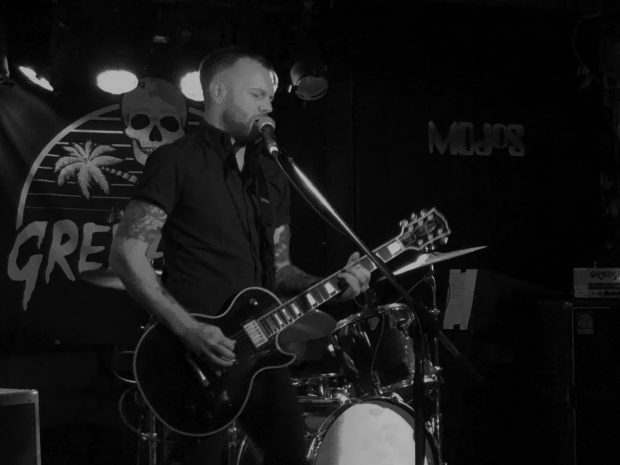 With local outfits Pat Chow and Hideous Sun Demon supporting, an evening of all out rock‘n’roll was in order, and that’s just what punters got. Local openers Pat Chow kicked the night off and without hesitation got straight into their gritty indie rock. Recent addition of Ashby Ranson late last year on guitar and vocals adds a whole new layer to the band’s former angsty and grungy sound. Her input into the duel guitars and male-female vocals seemed to lighten things up and add a little more harmony, though that grunginess of early releases wasn’t lost. Their set comprised of tunes new and old, including early grungy stuff from 2015 debut LP Are You Okay?, which frontman Ben Protasiewicz and his guitar totally dominated, and the more recent indie pop Green Eyes and No Strings. Latest single No Strings sounded great live and only fuelled thoughts on how cool the next LP, Overwhelming Care will sound. Stay tuned, it’s going to be exciting to see what comes of this band in the near future. Things kicked up a notch when second support Hideous Sun Demon hit the stage, especially in volume and chaos. After seeing these guys last week at the City Limits festival, and only regaining normal hearing a few days later, it’s safe to say there’s a reason ear plugs were invented. They have a single setting, loud and menacing, which wasn’t toned down the entire set. 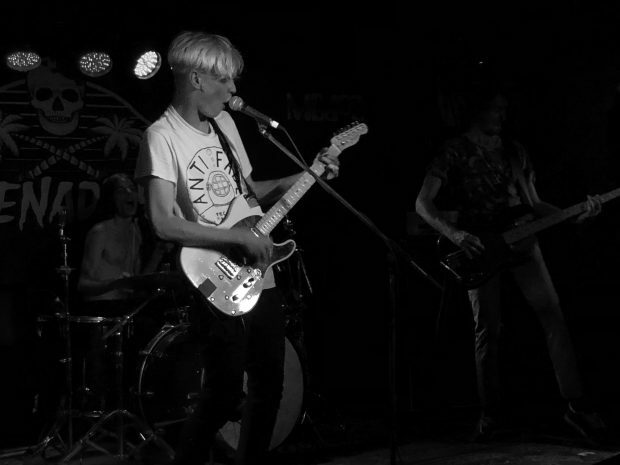 Kicking off with the frantic 24HR Dinger Party Banga Mix from their Industry Connections LP, what they had on tap was a psych-rock assault that hammered its way into your ears on constant flow. Despite only a relatively short setlist, they made sure each one of them packed one hell of a punch, especially songs like Oscillate, Hard Out and closer Monogamy. 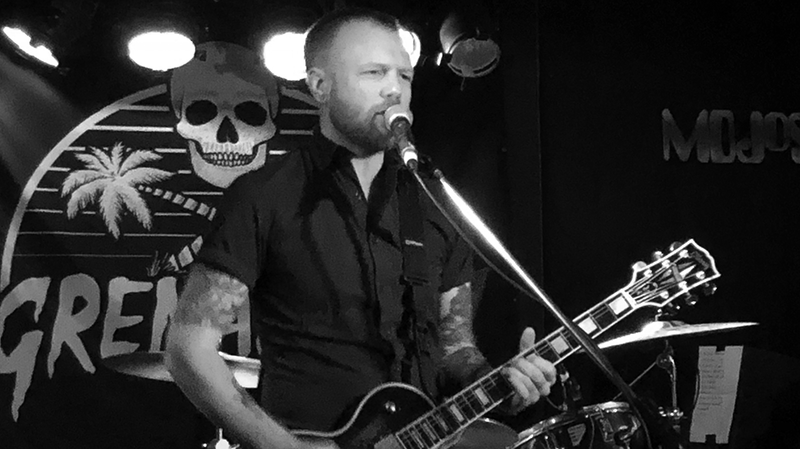 The stage antics of frontman and guitarist Vincent Buchanan-Simpson add an ominous vibe to the set, especially those wide-eyed stares into the distance as he insanely shreded the guitar, it was just awesome. By the time Adelaide 3-piece Grenadiers hit the stage, it didn’t take much to set the crowd off again. Opening with a neat drum solo before jumping into Holding Pattern they proceeded to spew songs from recently released third album Find Something You Love and Let It Kill You and a couple of earlier releases over the next 45 mins. It’s worth noting, frontman and guitarist Jesse Coulter suffered some pretty gnarly hand injuries less than a month ago, just before the Sydney gig of the tour. Hats off to the bloke for pushing through with the shows as his frantic guitar work no doubt put some strain on those injuries, a true showman. Although drummer Jimmy Balderston was “indisposed” and not on stage tonight, replacement “Tom” filled the large shoes left behind as the band smashed through song after song. Except for Long Way Down and Short Memory, everything from the album got some play time, plus Factotum, Stay Inside and Summer from 2015’s Summer and Old Uncle Scratch from 2010’s Songs The Devil Taught Us. As expected, everything from FSYLaLIKY was bloody awesome live. A couple of songs in, Coulter announced, “I’d really like to dedicate this set to the Bush Chook (WA’s beloved Emu Export for the uninformed)”, which was met by a cheer and many a “Yew!” from the crowd. Most songs saw the crowd singing along, particularly Glasses Up, Drunk and Broke, Suburban Life and Summer. While a mosh was notably absent, the entire crowd could be seen moving to the beat, heads were nodding, and feet were taping the entire set. Every song was met with cheers and even more yews, presumably fuelled by the frequent consumption of bush chooks. The break between songs was slim, with the band evolving from nearing silence into rock‘n’roll chaos in an instant. The break was absent all together for the likes of Panic Attack which was seamlessly rolled into Midnight Man to form what felt like a single song. Too hard to pick a favourite of the night, but hearing Ramona live was absolutely brilliant. A song with a little bit of everything on offer by the band and a great example of the extent of their sound capabilities, and it’s just an awesome song too. Closing with the popular Live Fast Diabetes saw a final rock out by band and crowd before the set was over. Coulter encouraging some crowd participation by singing along to “All I want” towards song’s end before the song’s final thrash out, making for an awesome closer to the night. No-frills Mojos Bar was a fitting venue for the bands tonight. No fancy stage props, lighting, or anything like that, just some good old rock‘n’roll to let loose to and kick off the weekend in an intimate venue. Between supporting acts and headliner, everyone was in fine form, the music was great and the atmosphere even better. 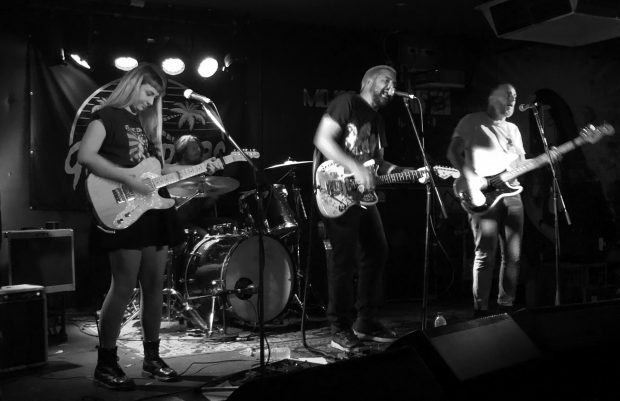 Two local supporting acts that are well worth keeping an ear on and a headliner that’s continually growing from strength to strength representing Australia’s fine rock offerings, locally and nationally. It was one of those nights you couldn’t not have a good time and enjoy, and it was clear everyone was in a rockin’ mood as they dispersed onto Queen Victoria St post gig.